Dress up your outdoor space with these deck-orative railings! You have finally decided to have your backyard transformed into a place you will enjoy with friends and family for many years to come…step 1, check! 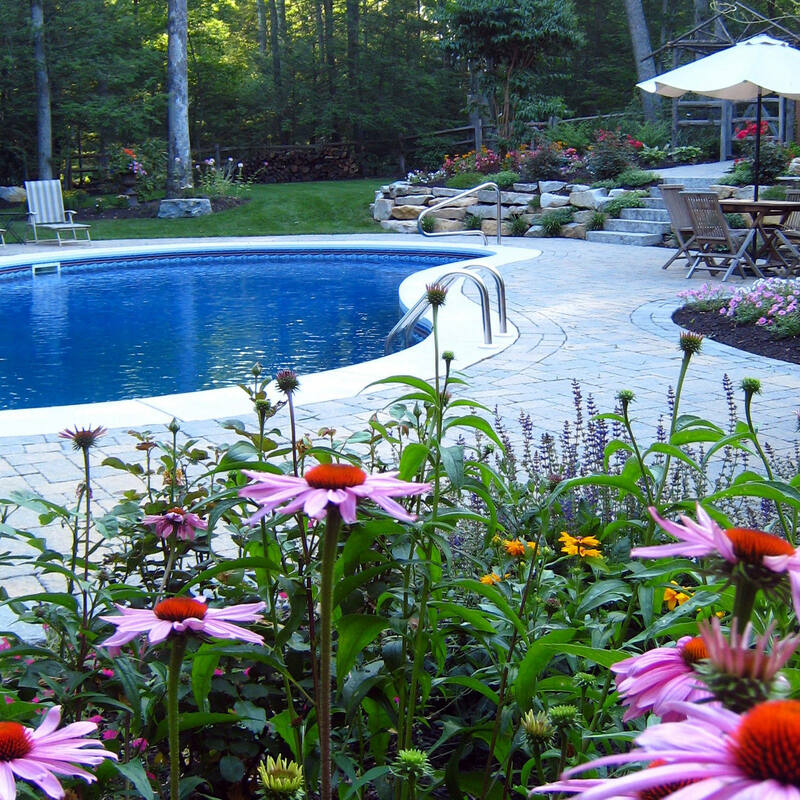 After doing your research for the absolutely perfect landscape designer to make your aspirations come to life, you will find that the beauty is in the details. For example, have you given much thought into what kind of railings will be installed on your brand new deck? Does it really matter? Short answer is…yes. Now for the longer answer! Attractive railings add architectural interest to your deck and have to harmonize with all other exterior elements of the home and property. 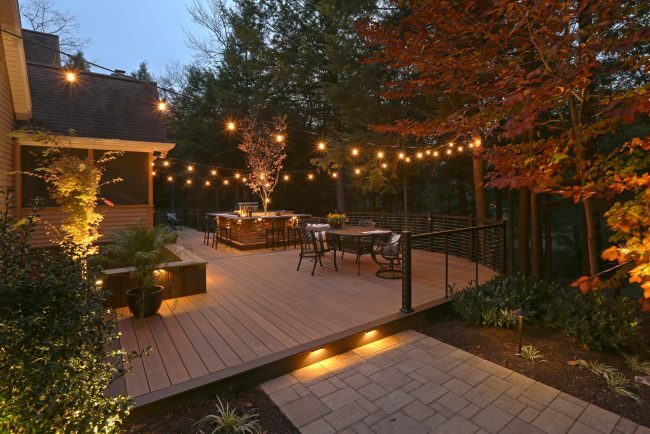 Dressing your deck in style is key to creating a space that you fall in love with. Talk to your landscape designer about the many style and material options out there to choose from; it is their job to educate and guide you in the right direction, as well as research your area’s ordinances to make sure everything is code compliant! Here is a glimpse into a few deck railing options that will make your deck the talk of the neighborhood. Architectural aluminum railings, like the black aluminum railing shown here, could be considered the little black dress of the railing world; it looks great and goes with everything! The matte black railing effortlessly hides dirt and is easy to clean when you have some spare time. The simplicity and uniformity of the railing make the deck space look clean and sophisticated, which easily dissolves into the background for your evening enjoyment. This style really does suit just about any style of home by offering a sleek and captivating finish, and has a 3rd optional rail to add for visual interest if you would like to kick it up a notch! Do you have a more modern space and want to explore railing options that could be considered out-of-the-box for more conservative homes? Cable railings are just the ticket! Stainless steel horizontal cable railing is contemporary and sturdy, yet simple and avant-garde all at the same time. 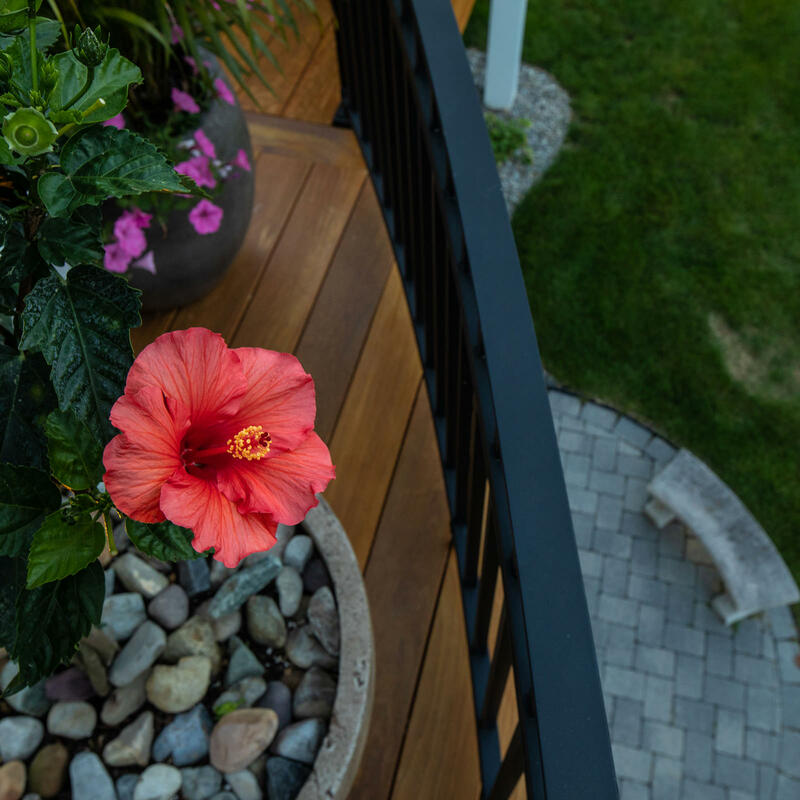 Having your landscape designer install cable railing won’t do much in the way of privacy when your deck is in use, but this style allows for your view from the deck to be virtually unobstructed. Our eyes are naturally drawn to the horizon, so the horizontal cables seem to vanish quite easily. So if you have a view that is worth a million bucks, talk to your landscape designer to see if this style will complement your home. Speaking of unobstructed views, how much more unobstructed can you get than to install tempered glass panels as your barrier? The sheer transparency makes for the most effective “disappearing act” barrier between view and viewer. If you happen to live in a high-wind area, this system doubles as a form of wind-break, which can extend the use of your deck! However, be aware that if you fall in love with this system and just have to have it, the deck will need to be able to stand the weight of the glass itself, so you may have to invest in extra structural support in the deck. Engineering is very important in these cases! Oh yeah, don’t forget to invest in a few bottles of Windex as well. Any deck space over 30″ in height is required to have railings! If you have more than 3 rises in a staircase, Pennsylvania code requires step railing to be installed! By code, the spindles, railings or cables are not not permitted to have a gap of more than 4″ to ensure proper safety! 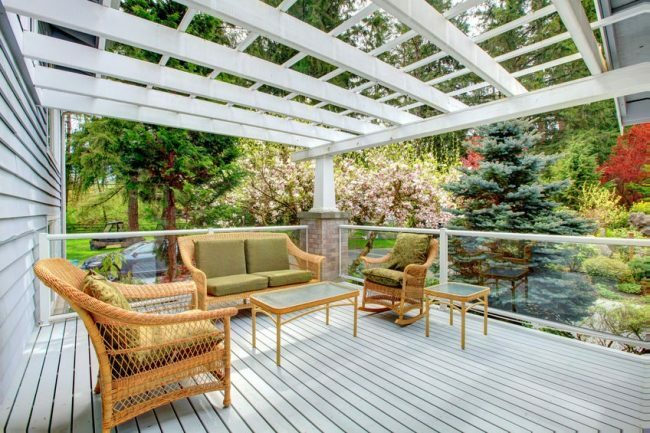 Railings actually affect the look of your deck space more than one would initially consider. Not only do the railings make or break the aesthetic of the space, but they also affect the required maintenance level of the space, your privacy, view and safety. Railings need to be low enough to permit a seated view, abide by the special requirements for child and pet safety, and also strong enough to support the extra stress of environmental and human interaction. 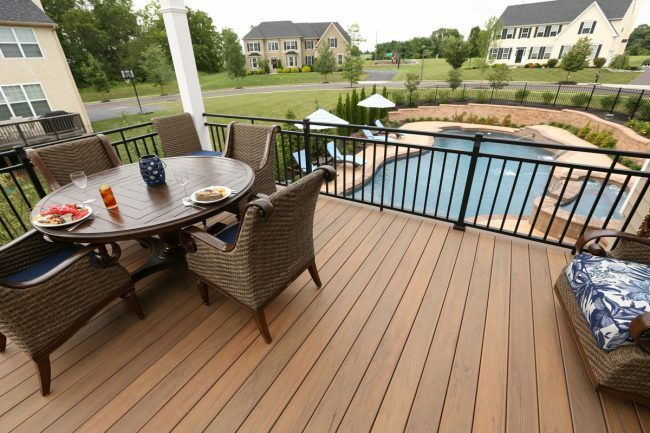 Breaking the mold of common rectangular pressure treated decks with wooden railing is easy to do when consulting a professional to add some pizzazz to your property! 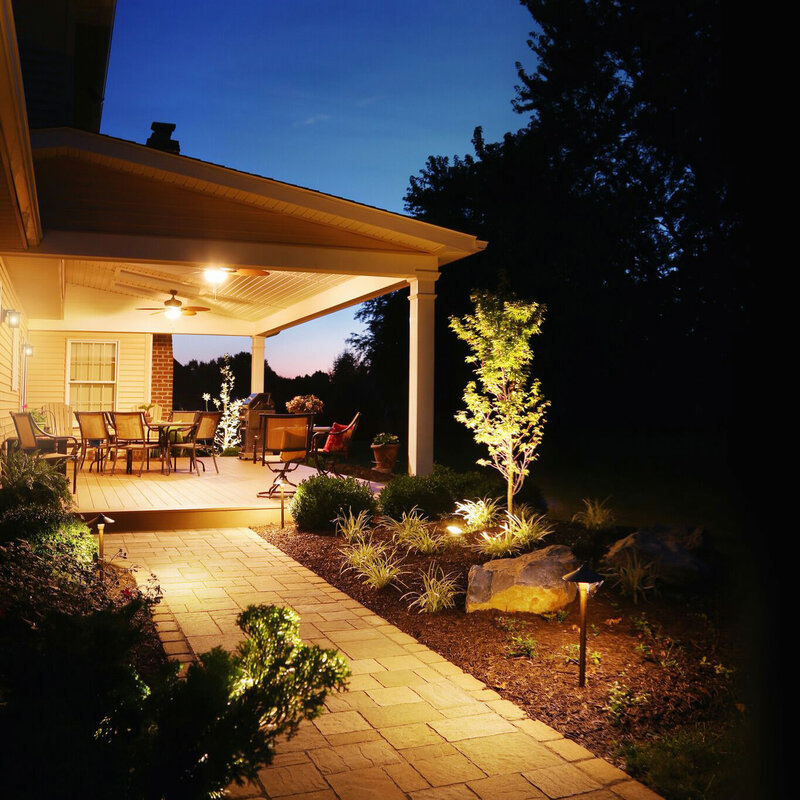 MasterPLAN Landscape Design is eager is share our outdoor living space expertise with you and your family! 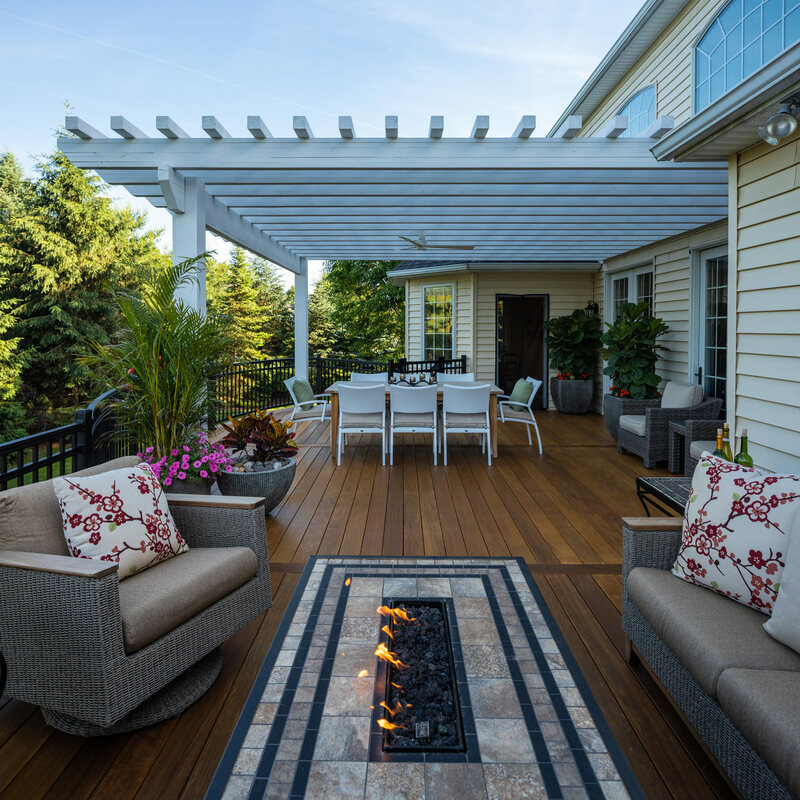 Anyone can build a deck or construct a patio, but MasterPLAN realizes that it is more than just a deck or patio, these features are the backdrop to your life! 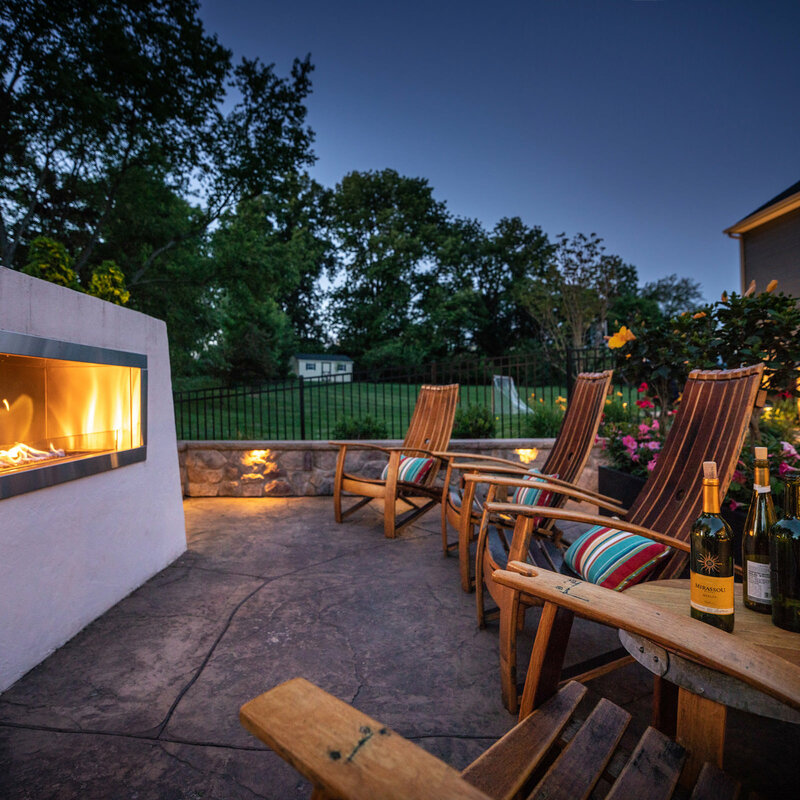 Your outdoor spaces are the setting in your family’s birthday and prom photos, where your summer fun takes place and the spot you go to relax from a hectic work day. 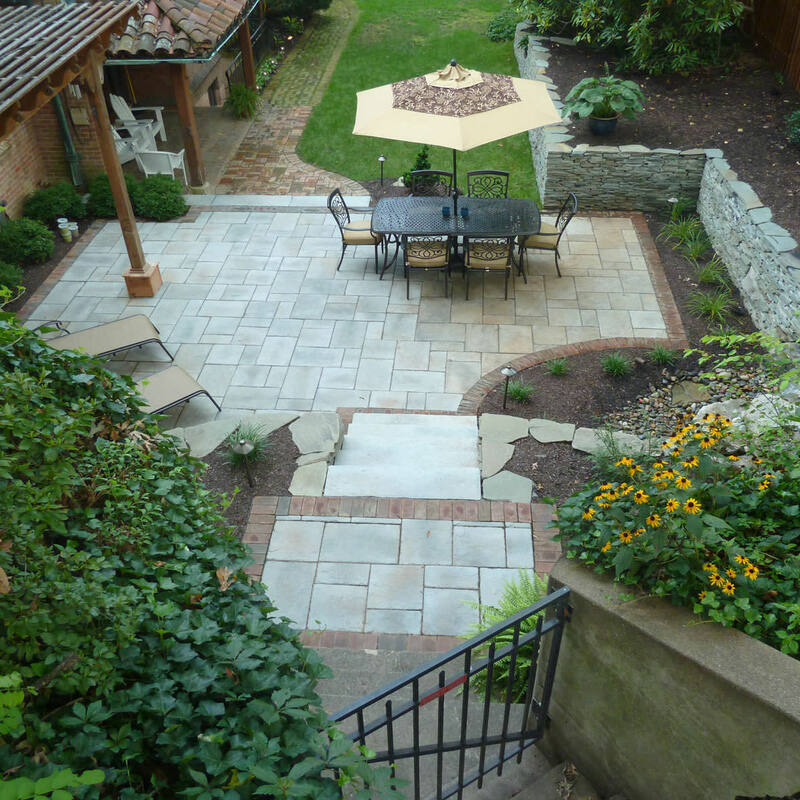 When you are ready to transform your backyard, make sure you do it right the first time. 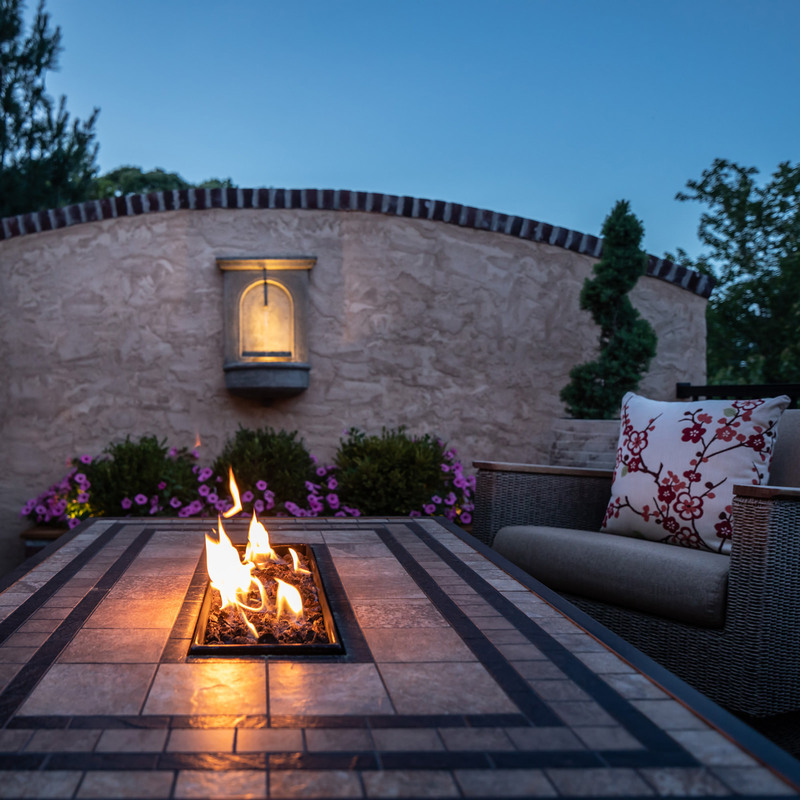 Reach out to MasterPLAN to explore the full potential for your outdoor spaces; we are ready to transform your outdoor dreams into your outdoor reality!